THE latest Malaysian e-commerce insights from leading Asean online and retail payment solution provider, iPay88 Holding Sdn Bhd (iPay88) lends more proof to the fact that Malaysians are increasingly taking to e-commerce and that brick & mortar merchants have no choice but to embrace the channel or accept that they are fighting for a smaller share of the consumer wallet – and that it is getting smaller. The iPay88 data is unique from other e-commerce data from the point that, as the leading online payment provider in Malaysia, it is able to provide a more granular view of the flow of e-commerce across its platform. Hence it is able to reveal that a total of 52.45 million successful payment transactions worth US$1.7 billion (RM7 billion) were carried out in 2018 as compared to 28.7 million transactions in 2017 worth US$1.1 billion (RM4.8 billion). 2016 saw 16.7 million transactions valued at US$681 million (RM2.8 billion). Interestingly, iPay88 also had data that revealed RM3 billion worth of transactions failed to go through. While on its own a large number, there is nothing alarming here says iPay88 as the failure of the transactions could come from one of a number of factors, such as customers simply not have enough money for the purchase, internet disruption, bank connectivity problem, or sometimes customers changing their minds about a purchase and banks declining a purchase due to suspicious activity. Three key takeaways emerge from all the data shared and brick & mortar merchants will do good to take notice and act. The first is that e-commerce is real and here to stay and the 68% increase in sales charted by iPay88 for 2018 is not a fluke. The good news is that businesses have taken notice and are adopting e-commerce. The September 2018 SME Corp Annual Report carried a Malaysia Digital SME Study, where among others, it was found that 43.8% of SMEs were adopting e-commerce. One data point from iPay88 attests to this higher SME adoption of e-commerce. The average ticket size in 2018 dropped versus 2017 with consumers spending an average of RM133.64 per transaction versus RM168.20 in 2017, a drop of 20.5%. Chan however does not see this as a concern explaining that the smaller average ticket size is reflective of the fact that, small merchants with smaller ticket sizes are also now involved in e-commerce where it wasn’t the case in the past. At the same time, e-wallets naturally generate smaller tickets as well. The second key takeaway is that it is becoming increasingly clear that the preferred online channel for Malaysian consumers is via mobile with 40.8 million transactions performed over mobile devices in 2018 versus 10.1 million over desktop. This represented a 121% growth versus the 18.5 million transactions performed over mobile devices in 2017. The 10.1 million desktop transactions were a 10% growth over the 9.1 million transactions in 2017. Chan urges businesses to ensure they provide customers with secure and easy mobile experience or risk losing business to their more mobile savvy competitors and startups. He also urges businesses to focus on Android platform which has nearly double the number of mobile users versus iOS. The final key takeaway is how negligible fraud is with Chan sharing that 2016 saw 0.02%, 2017 0.03% and 2018 0.02% fraud cases. This reinforces consumer confidence in e-commerce as a trusted platform. Kang also expects the e-commerce adoption among his association members to increase this year as the awareness levels and appreciation of the potential sales boost, sees more SMEs adding online as another sales channel for the business. 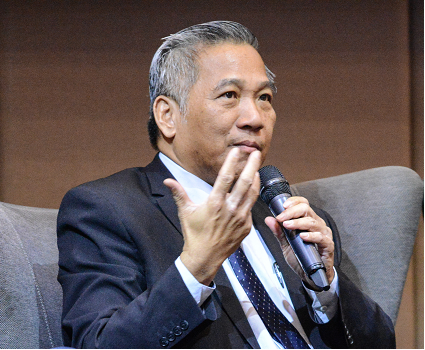 “Our association will also be focusing on creating more awareness and urgency among members around adopting digital and e-commerce to the business,” he says. 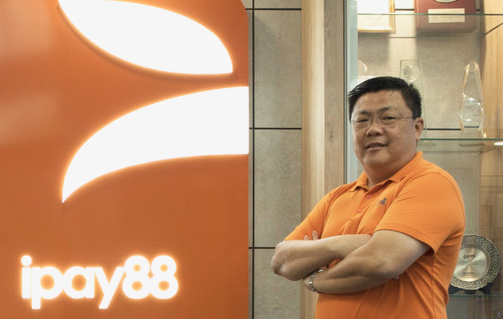 For iPay88’s Chan, that is a no brainer as he predicts another strong year of gangbusters growth in e-commerce for Malaysia, driven by mobile commerce.